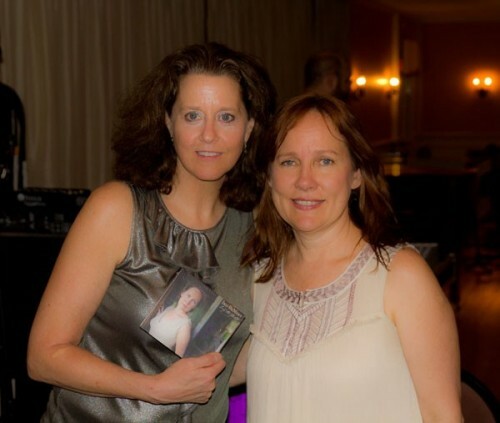 Iris Dement and the Bull Run's Innkeeper, Alison Tocci. Photo by Lawrence Libby. 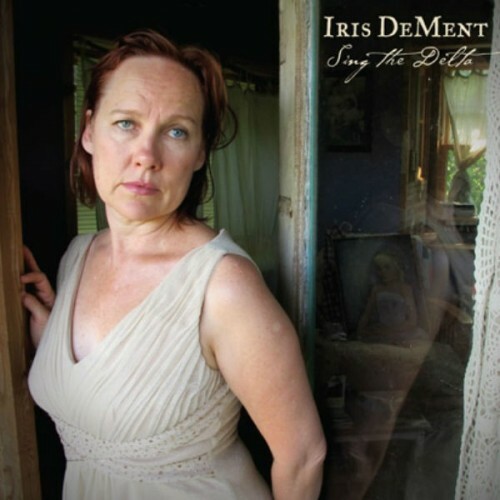 Iris has a new CD, Sing The Delta! 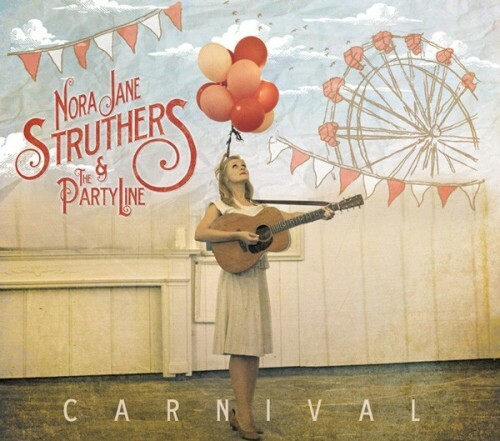 Nora Jane Struthers new CD, Carnival, funded through Kickstarter. 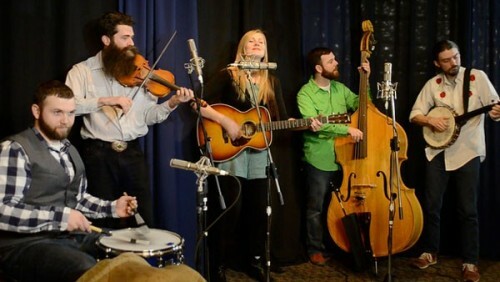 Nora Jane Struthers and The Party Line perform live at Folk Alliance for Folk Alley. Although I did not know it was she or even know of her, I first heard the voice of Iris Dement while watching the final episode of Northern Exposure on July 26th, 1995. Her rendition of “Our Town,” featured throughout the episode, was so appropriate for the atmosphere of the setting and the nature of the characters that I found myself constantly moved throughout the program. It was several years before I heard that voice again, this time on the radio and had it identified. I immediately went looking for and acquired her first three cds. My story is not unlike that of many fans who tell of remembering the circumstances in which they first heard her on the radio or on being introduced by a friend. Some who heard her while driving felt her voice so compelling that they pulled off to the side of the road to listen. Last Friday night at the Bull Run in Shirley in the company of a large room full of her fans, I finally got to hear Iris live and the experience was both pleasing and revealing as she tours in support of her new cd, Singing The Delta. The pleasing part was hearing that incredible vocal instrument. It has neither great range nor exceptional clarity, but it does embody a tapestry of tones that are conduits for a greater variety of passions and emotions than any other voice I know. No longer that slip of a girl that I first heard near 20 years ago, Iris is now a mature and confident performer that I sometimes saw as elfin hoyden, sometimes as the Southern Lady with a secret smile. That is a bit surprising for most of her songs are hardly expressions of light-hearted abandon or frivolous by nature. Her songs bite down hard on our souls, on our hearts and belief systems and shakes them. Shakes them hard. For a few songs, she stood at the front of the stage with guitar, but for most of the program she sat a bit further back at the piano. From my position I had a clear view of her face as she sat at the keyboard and I noted that she played mostly with eyes closed and that her face was a constantly changing panoply of expression. It was completely immersed in the emotional content of the piece. Oddly enough, this did not disconnect her from her viewers as one might expect, again, I believe, due to that special voice noted above. Her demeanor between songs was warm and intimate. Her badinage with band members, was playful and affectionate as were comments to us, her audience. I felt truly welcomed into her personal world. 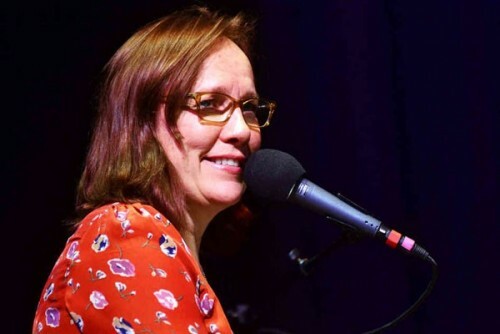 Iris Dement is not to everyone’s taste. Go figure. But for those of us who are her audience, we are a committed lot. I look forward to our next encounter. Not as intense but still highly talented is another southern lass, with a brand new release, Nora Jane Struthers. I first became aware of Nora Jane when she along with P. J. George and Todd Grebe, were recruited by Bearfoot , after Bearfoot had lost Odessa Jorgenson, David Grisman and Mike Mickelson. At that point I feared that the nigh complete change of identity would disintegrate a group that had existed for a decade and were at the pinnacle of their artistic endeavors. The new ensemble though distinctly different, then produced the outstanding album, American Story, consisting primarily of the songs of their new addition, Nora Jane. Using Kickstarter to raise funds, and drawing upon her exceptional ability to sketch out whole stories with just a few simple tightly written verses, the group went to the studio in Memphis and recorded this baker's dozen plus one. On her website, Nora Jane describes the project as follows. There is no question that Nora Jane is a fine songwriter, and I enjoy her voice and her vocalizing in most particulars, save one. I have long decried the lapse in annunciation that affects some singer/songwriters in performance. It’s as if they really do not care if the words are understood or not, but in story songs, understanding the words is essential. Printed lyrics would help some, but more precise pronunciation would be even better. I am undecided here as to whether the lapse is the failure of Nora Jane or producer, Brent Truitt, or whether it is the result of uneven mike placement /settings or mixing mix-ups. The second half of the program does offer much clearer annunciation than earlier numbers. The result, nevertheless, does fall on both their shoulders. The Party Line is superb. The harmonies are rich, the accompaniment buoys the voice and sentiments of each piece marvelously. There are moments where the voices of banjo, mandolin, fiddle, pedal steel simply command the attention. Nora Jane makes a point of explaining the addition of a drummer, Drew Lawhorn. There is no need for this as the drum is as primal and traditional as is any instrument in roots and traditional music. I prefer Nora Jane’s performances on American Story, but this one is still a keeper and will probably grow more on me with repeat listenings.